Cauliflower is such an amazing vegetable when it comes to Paleo aka grain free recipes. You can create so many alternatives out of cauliflower and this hummus recipe is yet another use which I have recently discovered. Chickpeas are great, don’t get me wrong. I like their taste and absolutely love the traditional hummus. But being a grain, even though gluten free, I still feel it’s nasty effect. It does make me less energetic and slightly bloated. So I feel like I’d rather take a pizza instead and when I want to stay light, I indulge in Paleo food. In fact this is why I love paleo, grain and refined sugar free food. It just makes me feel better! 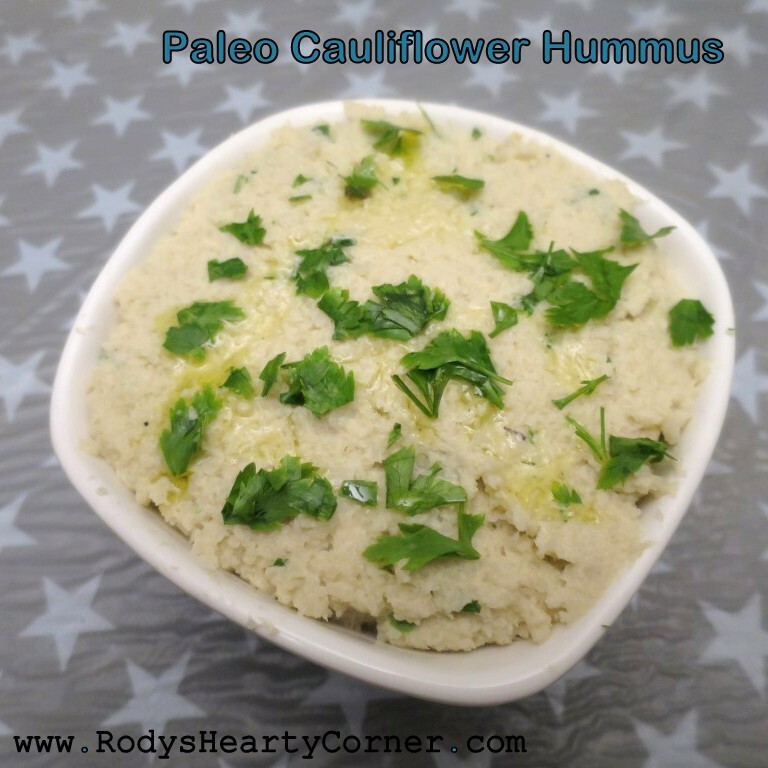 Apparently cauliflower hummus is not something new for Paleo diet, as I found many different variations of this recipe online. The good thing about it is that you can season it to your own taste. You can add other ingredients and remove the ones you don’t like. Feel free to experiment with the ingredients you put in. Some popular flavours are fresh garlic, cumin, coriander, turmeric, fresh herbs like basil and mint, tahini paste, yogurt, paprika and olives. Cut the top of the garlic head so that all garlic cloves are exposed. Place it inside some thin foil and bake in the oven for around 20 minutes. This will soften the garlic and create a nice flavour of roasted garlic. Otherwise feel free to use around three cloves of fresh garlic instead for a potent garlic flavour. In the meantime steam the cauliflower. When both garlic and cauliflower are ready blend all the ingredients in a food processor. You will need to squeeze the roasted garlic out of the skin. Add water depending on the consistency desired. Serve with raw vegetables or with homemade crackers (olive oil herb crackers or flax seed crackers).